REV-1 engine oil is accredited with American Petroleum Institute (API) and is approved by Mercedes Benz, Volvo and Cummins for use in their engines. REV-1’s product performance and non-compromising quality is further evident in our co-branded coolants with FleetGuard filters. Over the last decade, REV-1 lubricants are extended to include a wider range of applications. 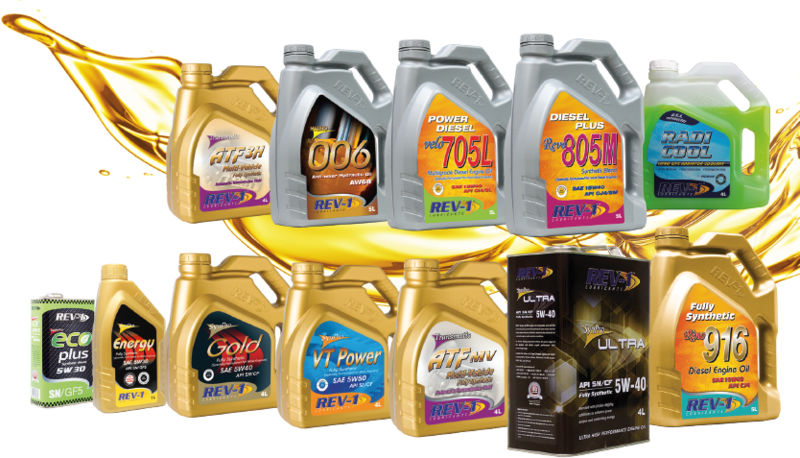 From entry level and premier performance lubricants with optimal specifications for automotive engine, to metal working fluid and greases, REV-1 is comparable and even surpasses many other reputable brands in the market.